CRANN’s Central Equipment Facility (CEF) is an integrated infrastructure, equipment, and human capital platform offering advanced instrumentation and expertise to academia and industry. CRANN hosts world class facilities that are located in Trinity and are maintained and further developed by a team of specialised technical staff. These critical capabilities associated with the fabrication and characterization of advanced materials ensure that Ireland remains at the forefront of world-class research. 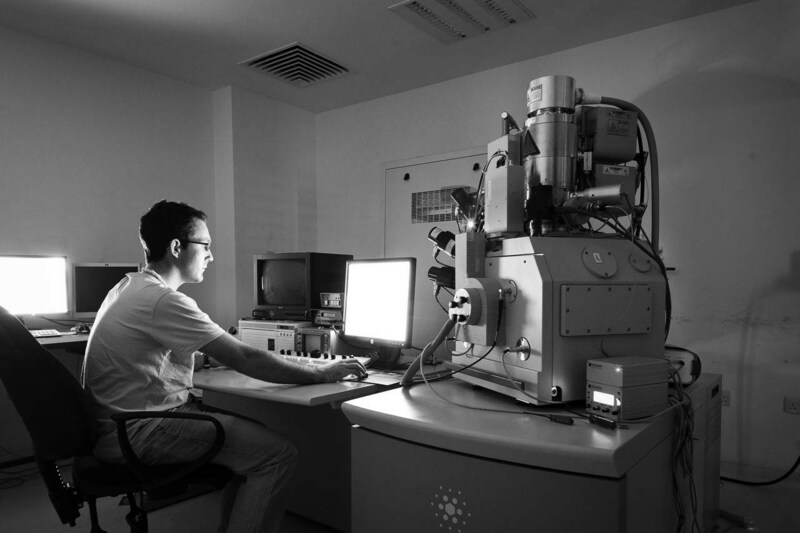 The SFI funded NION UltraSTEM 200, one of the top 10 microscopes in the world was launched in 2016 and allows imaging of materials at a sub atomic scale. As a result of a successful SFI infrastructure award of €6.5M in 2015, we have invested in a state of the art physical vapor deposition tool capable of depositing complex thin-film stacks of metallic and dielectric materials with sub nanometre thickness control and in 3D printing and Additive Manufacturing capability which has driven a new research direction which will lead to significant engagement with industry. For initial enquiries about industry or academic access to facilities, please contact Cathal McAuley at mcaulec@tcd.ie.